What Makes BiWi Your Best Option for Memon Shaadi? Memon shaadi is a way of celebration in Memon community. Memons prefer getting married within their fraternity for compatibility. However, they find it difficult to find a suitable girl or boy that could make for an excellent wife or husband. Although, Memon matchmaking does not require any specific matrimonial compatibility in terms of astrology, it does need to be acceptable for both bride and groom. Keeping this in mind, BiWi inaugurates Memon community section where proposal seekers could find a potential couple for marriage. 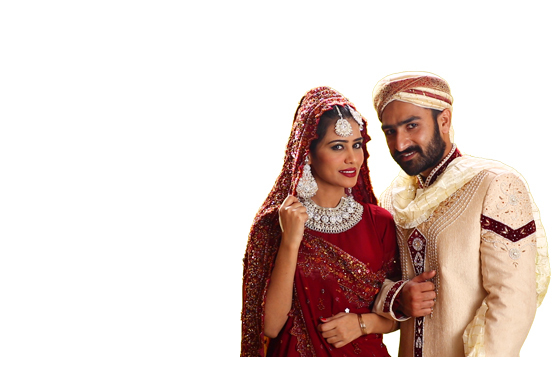 With our Memon community section, you are able to seek matching wedding proposals within Memon community in Pakistan and abroad. Our Memon section contains profiles of many deserving boys and girls looking for Memon shaadi in their community. Now, you do not have to wait any longer as your would-be wife or would-be groom is right there at BiWi. Make a FREE account today and begin your search. BiWi.pk is an online matchmaking website providing wedding and matrimonial services to the people of Pakistan both home and abroad. It brings rishta seekers together on a platform where they can interact with others who have registered themselves for similar reasons. Parents looking to get their children married off are encouraged to register. It's free. Our members come from around the world. Pakistanis living abroad such as UK, USA, Canada, Saudi Arabia, Qatar, Bahrain, Dubai UAE, Europe, Australia, New Zeeland, Japan and the Middle Eastern countries are among our members. Brides and Grooms to be can be form any cast, sect and religion.